HJK is amazing in this season in Finland Veikkausliiga. They are on top of the table with 10-6-1 balance and huge favorite to win the title. But in European competitions are not so good and with huge problems. In the first qualifying round from Europa League faced semi professional club - Connahs Q and lost away at home with 0-1, but then eliminated them with 3-0 win at home. They also had huge problems in the away leg against Shkendija and lost with 1-3. Awful performance in this game as they lead with 1-0, but then the opponent made a come back. Also important players like their central defense - Patronen has been sent off in the middle of second half and now he is suspended for the second leg. In the previous month are not in best form with only 1 win in 5 games from all competitions. Shkendija played only 1 friendly game in the summer break and finished 1-1 with strong team like Maribor. Their start of the new campaign were in Europa League as started from first qualifying round. No problems at this stage as eliminated Dacia Chisinau without any problems and two wins - 3-0 at home and then 4-0 in the second leg. Against HJK in the first leg were also very good and made a come back from 0-1 to 3-1 thanks to 3 goals from Ibraimi. Murati has been injured in this game, but he has chances to come back now. The team totally dominated with 23 goals chances and 7 shots on goal and missed to win even with more goals. 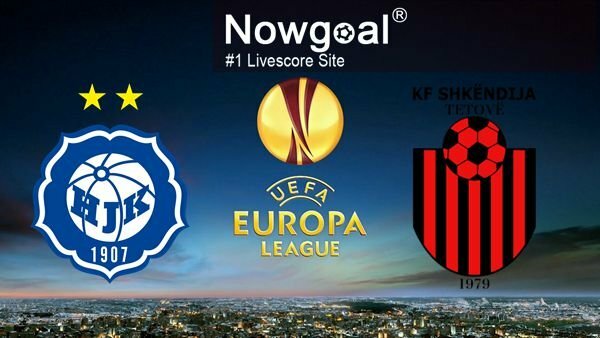 After all, HJK will try to attack from the first minutes and score an early goal, which will keep their chances alive for the next round, while Shkendija are very good in attack with 10 scored goals in 3 games from Europa League, so I expect a lot of goals in this game.